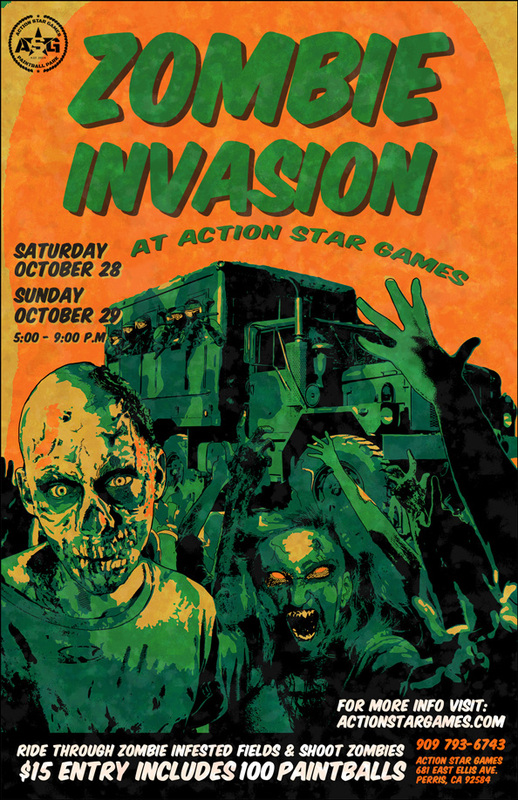 $15 entry gets a station on the Zombie Terminator Truck, a mounted paintball marker and 100 special zombie killing paintballs. The Zombie Terminator Truck will take you through the paintball fields where zombies are wandering and waiting to attack. 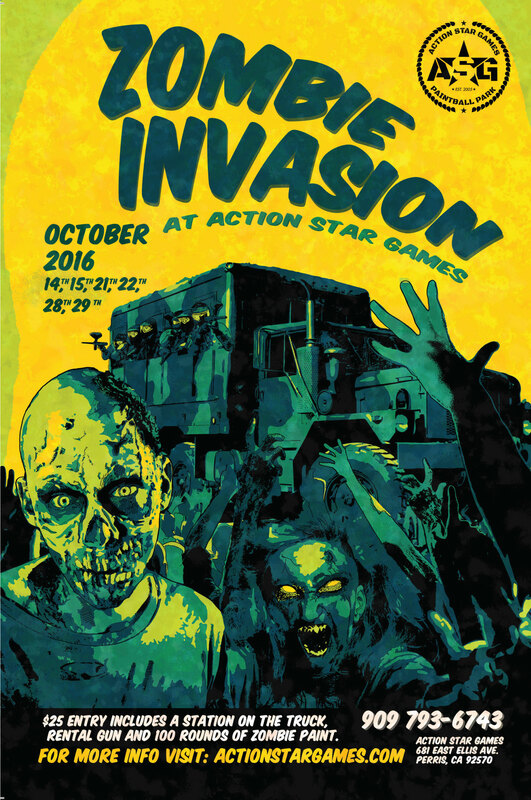 THIS IS A SPECIAL HALLOWEEN EVENT SUITABLE FOR PLAYERS OF ALL AGES. ZOMBIES CANNOT AND WILL NOT SHOOT BACK.